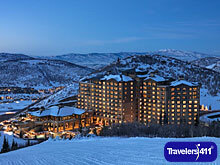 Visit the Travelers411 Directory listing for The St. Regis Deer Valley. Edward Shapard, General Manager, The St. Regis Deer Valley was on the August 18, 2018 "Travelers411" Radio Show in hour 3. Visit the Directory for The St. Regis Deer Valley.